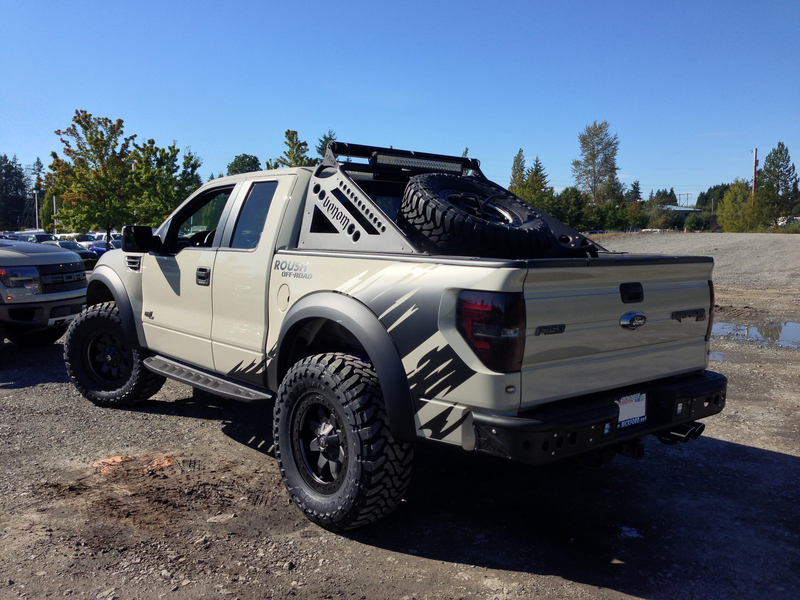 We have had the pleasure to work over another Raptor. 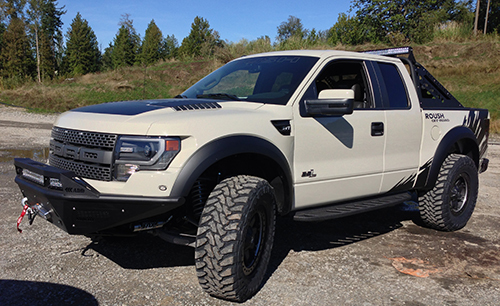 A Raptor isn’t just another truck to start with. 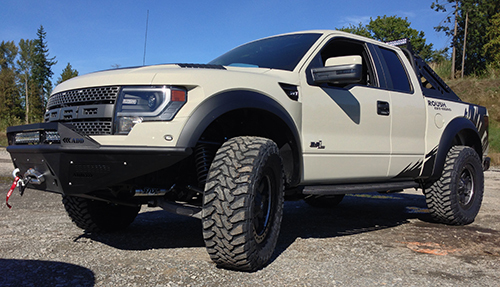 A stock Raptor has 411 Horsepower and 434 foot pounds of torque. It will get the job done! 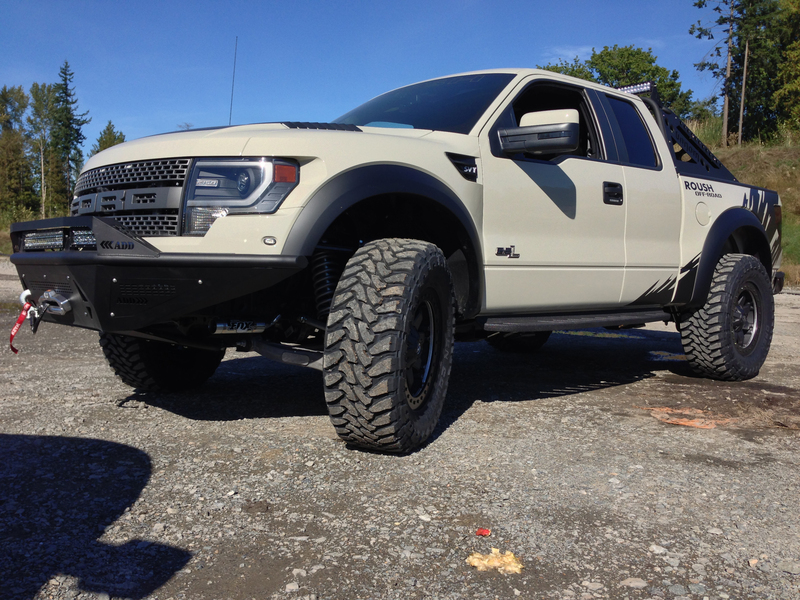 The Raptor that Jaseem ordered and bought from us is a Roush Raptor! 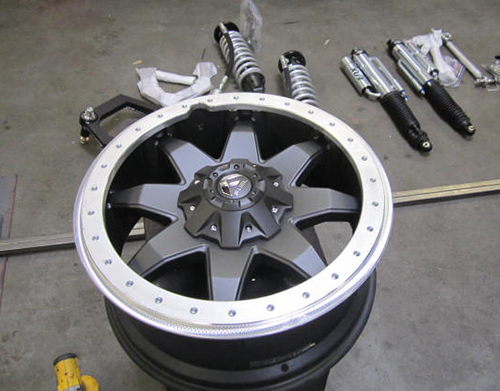 Those are modified to deliver 590 horsepower and 590 foot pounds of torque. 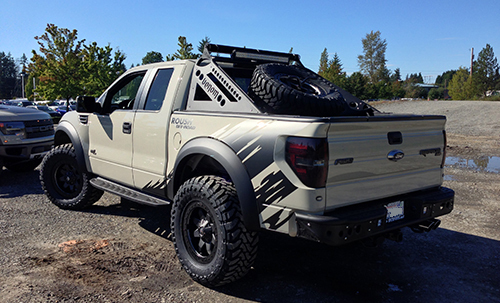 We did a bunch of modifications to this truck. To name a few, we modified the suspension, added some awesome ADD bumpers, remote controlled Warn winch, lights, lights and more lights. 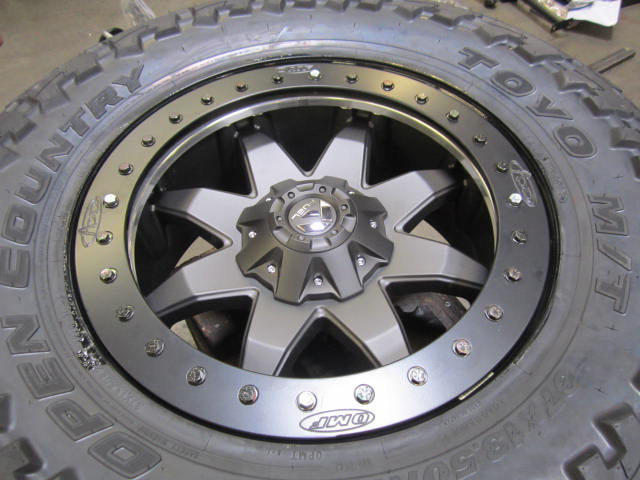 We added custom Fuel wheels with OMF bead locks and 37 x 13.5 20″ Toyo tires along with an air compressor (to inflate and deflate those bad boys for some fun in the sand) and we even added a set of horns from a train (or so it sounds like that). We will post what we have done in sections. So make sure to check back as we update this. Also, click on any of the photos for a full size photo. 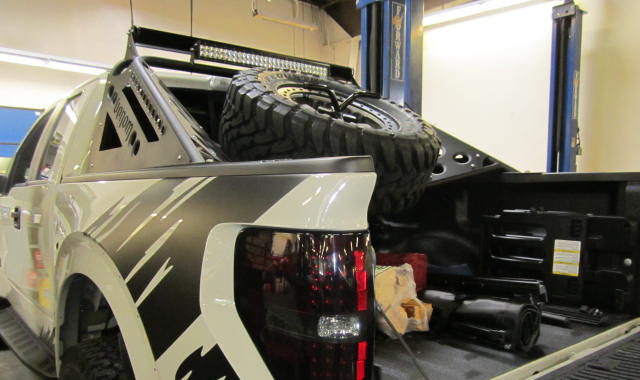 The first order of business is to install the spare tire rack and light bar that mounts to that. 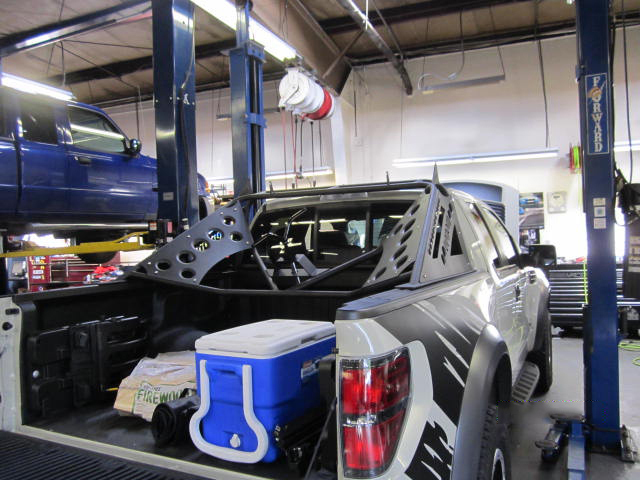 The assembly is made by ADD and the lights are by Rigid Industries. 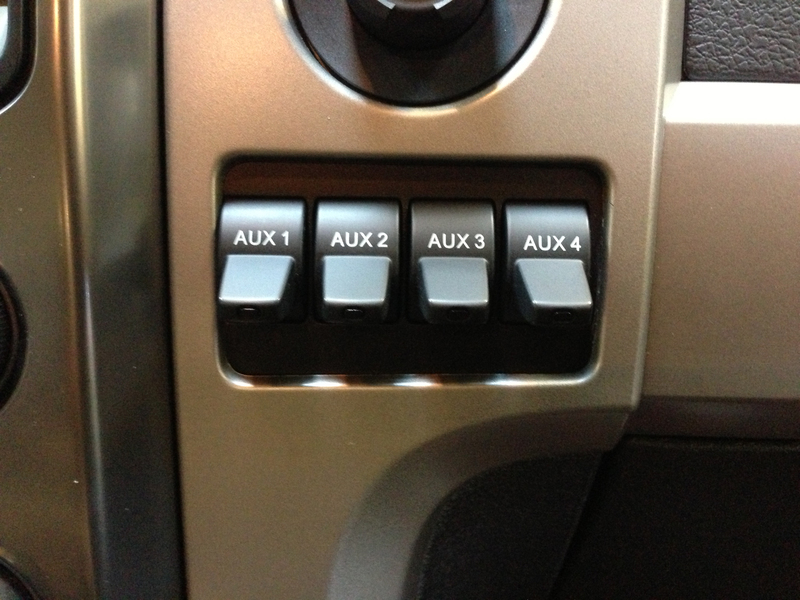 With all the lights that Jaseem added to his Raptor, we needed to add some switches and a ton of wiring. 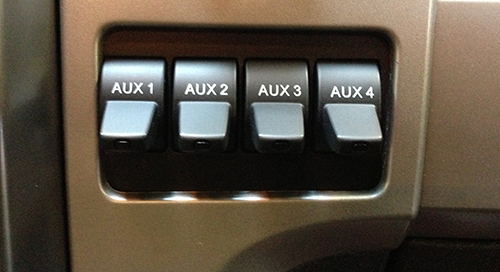 The Raptor comes with a set of upfitter switches, but we needed even more switches with all the accessories. 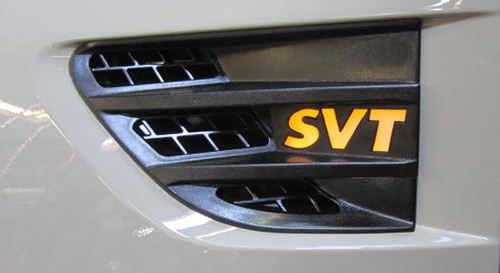 Buff ordered an extra upfitter switch and harness and then looked for the best place to locate it. 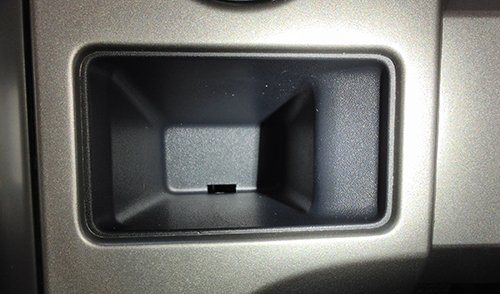 After much dis-assembly of various pieces, he found that the little cubby hole just under the 12 volt power point could be modified to fit the switches. 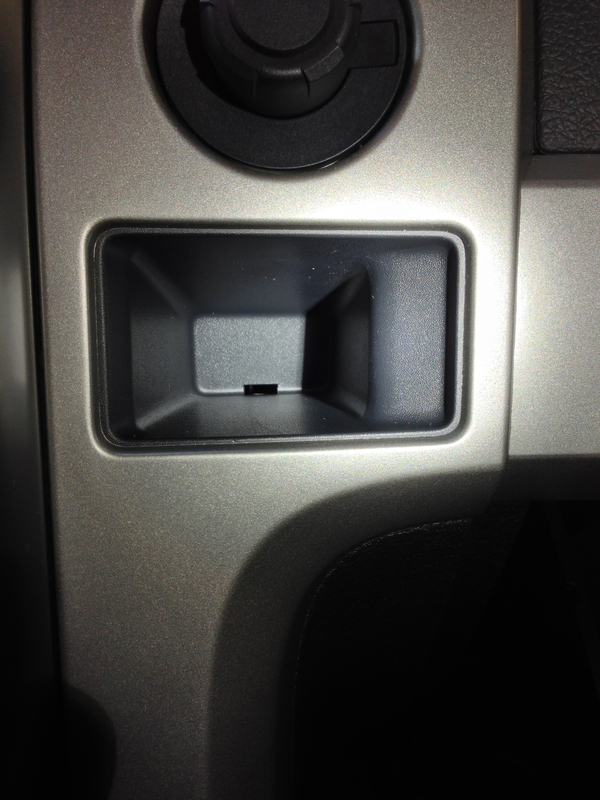 It looks like it was designed to fit there! 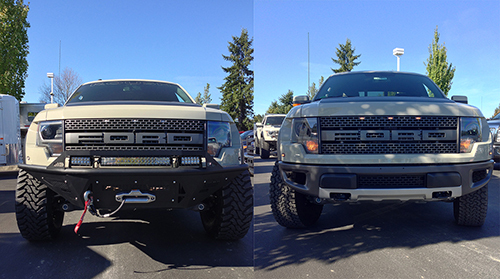 Some of the lights we put on included replacing stock lights with ones made by RECON. They make all kinds of neat modifications. 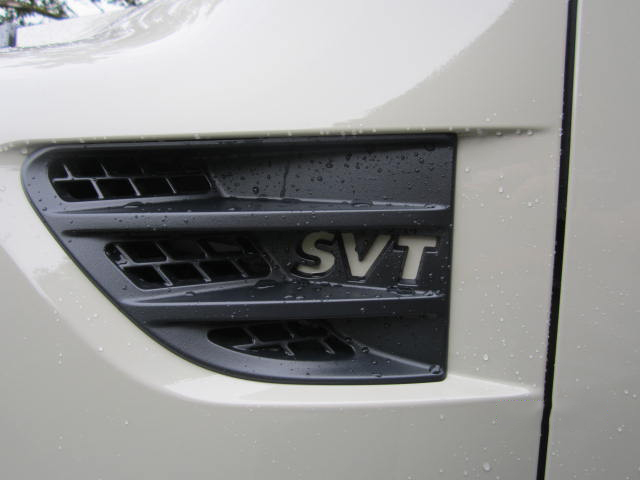 We installed lighted SVT Emblems(SVT Vents, sill plates, tail lights, 3rd brake light and blacked out reflectors). 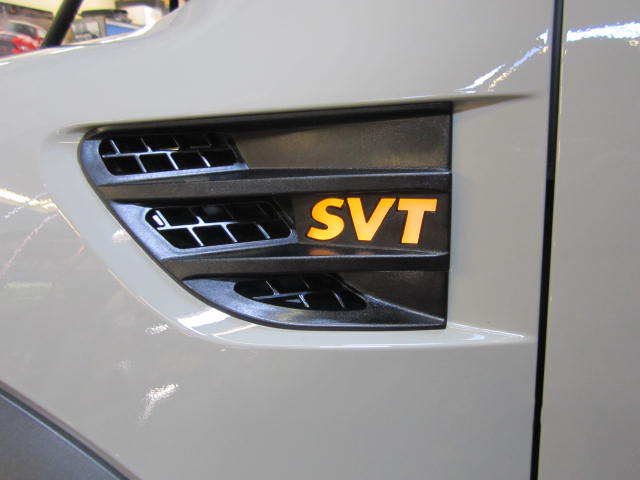 Here we have drilled and installed the back-up sensors and mounted the LED back up lights. 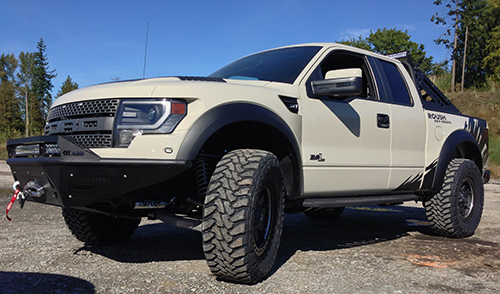 For those interested, we can also upgrade the stock Raptor trucks with Roush Performance upgrades such as the exhaust, air intake and superchargers. Take a listen to the difference in the sound! 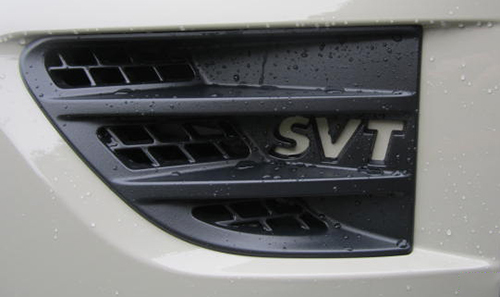 The front bumper is an incredible bit of work. 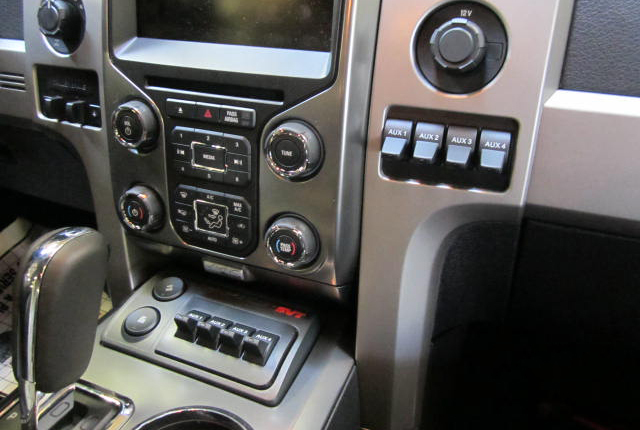 It looks great and is functional too. 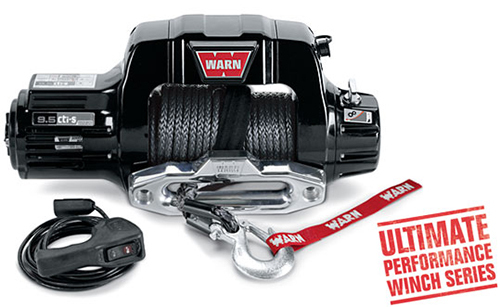 We have added a WARN 9.5cti-s winch with SPYDURA SYNTHETIC ROPE. 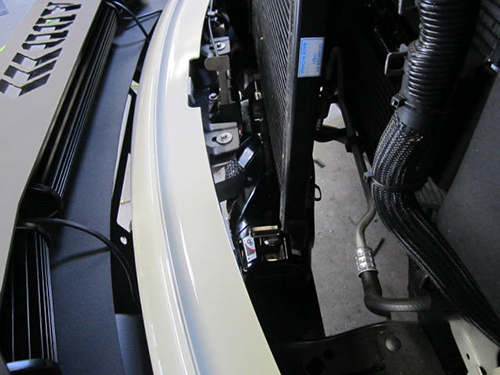 We decided to strengthen the winch mount with additional braces and brackets due to the winch that was being used. 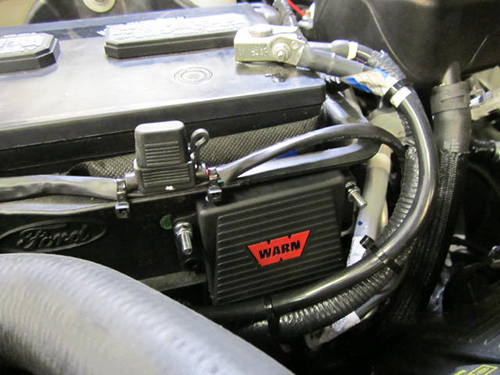 Because of the winch, we had to move the intercooler to make a little extra room for the winch. We then installed lights behind the front grates and put three more on top inside the area designed by Jaseem. The folks at ADD worked with Jaseem who worked up what he wanted in AutoCAD and sent it to them and they in turn built a light protector for the bar light on top. Great idea! And, it looks great too! Jaseem likes to get airborne! 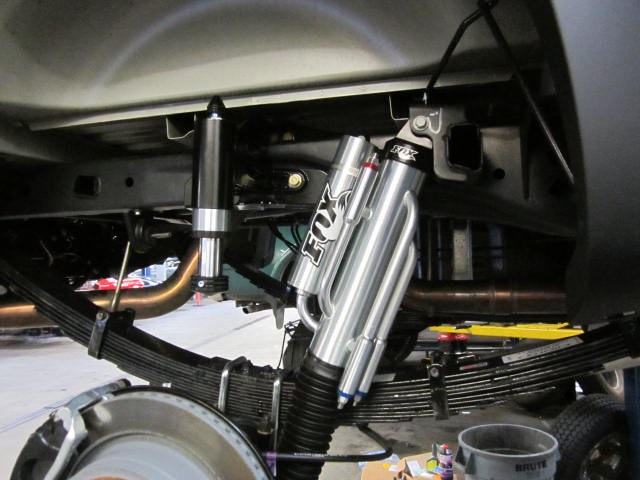 While the stock suspension is great, Jaseem likes a lot of air! First up, the front suspension. We start by replacing the stock upper control arm with a tough built arm from ADD along with their tire rods. 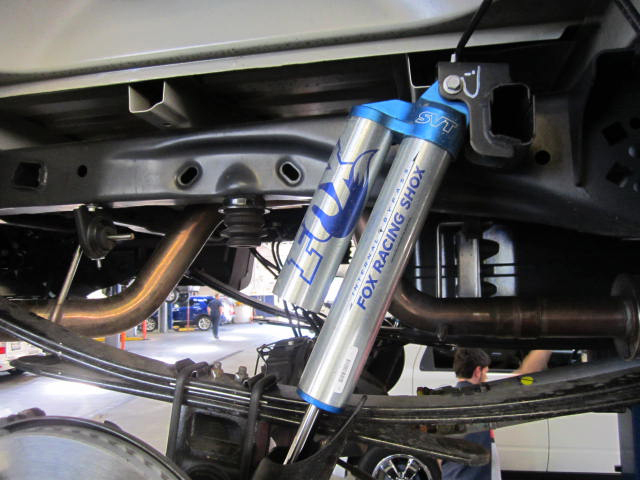 We then install an awesome Fox 3.0 Factory Series Bypass Reservoir Coil-over shock with internal bypass and external reservoir. 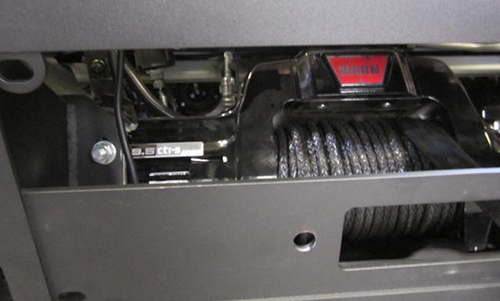 The Fox setup maximizes the wheel travel, increases the oil capacity and allows for a plush ride in extreme use. 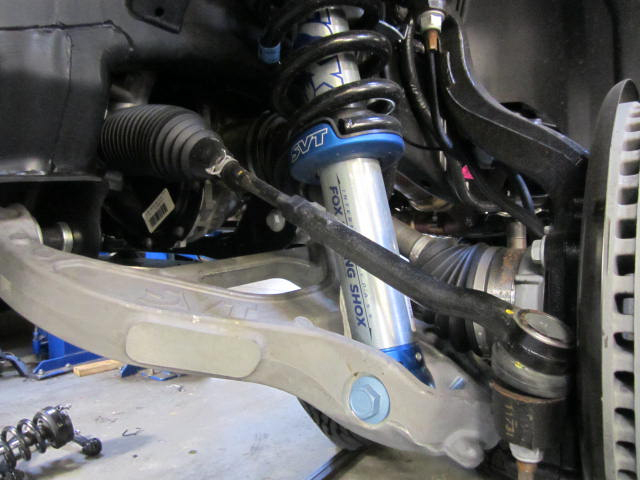 Second, we take the stock springs (and 2″ block) and shocks off. 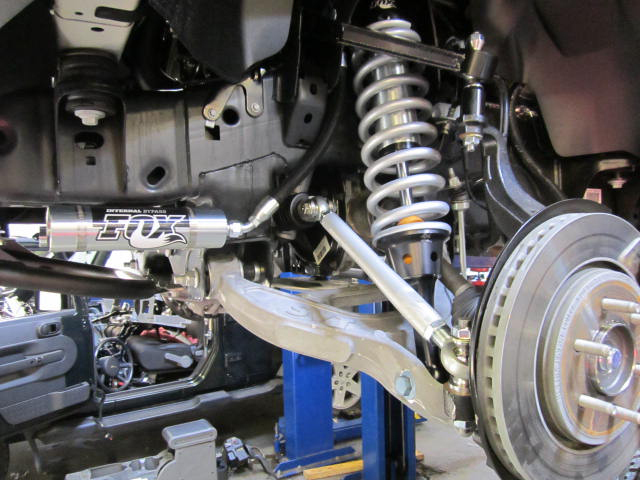 Deaver makes a really nice spring set up that not only gets rid of the need for a 2″ block, but allows for a smooth travel over the complete range of travel. We also add a frame brace and nitrogen bump stop system from ADD. It wouldn’t be complete without modifying the rear suspension by adding the Fox 3.0 Factory Series Bypass Reservoir rear shocks. 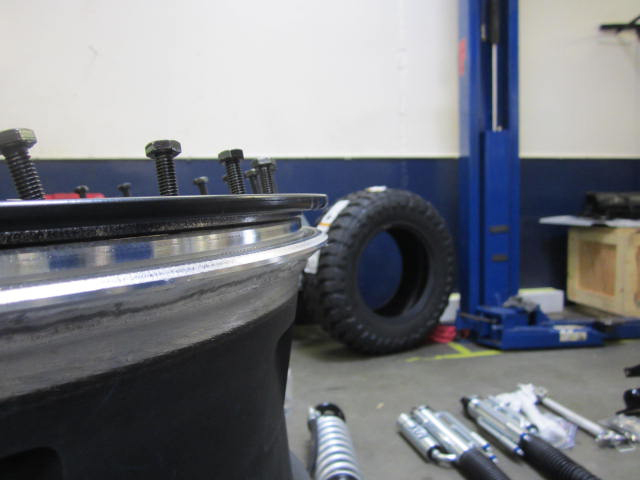 To take advantage of this great suspension, Jaseem had Octane Off Road Wheels make a custom set for him. 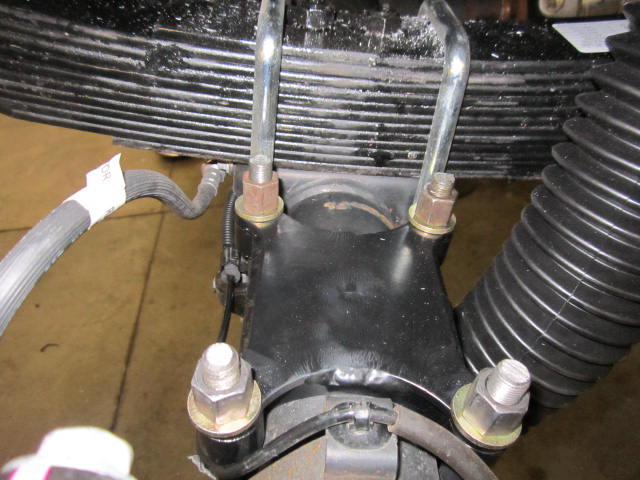 He had them add OMF bead locks. Pretty cool. For rubber, he selected TOYO M/T Open Country tires.